Struggling architect Jeon Jin Ho’s company is one failure away from closing. He finds out about the competition for the Dam Art Gallery and decides to throw his hat into the ring against his father’s former company Mirae Construction and his father’s arch nemesis Chairman Han and his son Chang Ryul. Jin Ho finds out that the concept for the gallery is based on Professor Park’s home Sanggojae. Thus Jin Ho sets out to meet Park’s daughter to gain entrance into the home to find out just what is so special about it. Park Kae In is a struggling furniture designer facing financial woes (thanks to a friend who ran off with the loan money) and is in danger of losing Sanggojae. 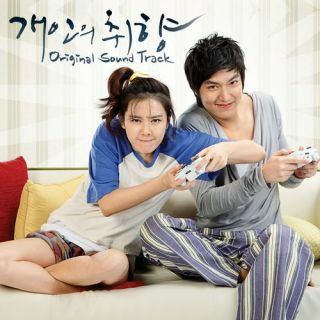 To make matters worse, she finds out that her best friend Kim In Hee was going to marry Kae In’s boyfriend, Chang Ryul. So hurting from the breakup and betrayal and needing money, Kae In’s friend Young Sun convinces her to rent out a room in Sanggojae to Jin Ho (who Kae In mistakenly believes is gay). Thus their misadventures in love and work begin. Kae In is a sweet and naive person. She is easily taken advantage of and always believes the best in everyone. Due to a misunderstanding between herself and her father, she has grown up in a cold environment with the belief that she doesn’t really deserve to be or can’t be loved. She always hurts herself when she gets mad and makes silly mistakes, but she is talented and has a good heart. She isn’t very feminine or even all that cleanly, but she gives 100% to the man she falls in love with. Due to a misunderstanding, she believes Jin Ho is gay. Jin Ho is a cold neat freak. He has spent his entire life running full-speed ahead without looking back and thinking upon what he just might be missing as he has a goal. Jin Ho wants to create a company like his father’s and get back what was stolen from him and his mother. He has no patience for people like Kae In, but finds himself being drawn to her. Due to a misunderstanding in a hotel, Kae In mistakenly thinks he’s gay which allows him to enter Sanggojae in hopes of getting a head start on the Dam project. Chang Ryul has a lot of growing up to do. He has never been in long lasting relationships due to his own father’s several marriages. He dates Kae In, but gets engaged to her best friend. When their wedding ends in disaster, Chang Ryul tries to win In Hee back, but realizes that the woman he hurt the most, Kae In, just might be the one for him. Even with his immaturity and stupidity, he has his moments where he seems to be the most mature and knowledgeable. In Hee was taken in by Kae In when her parents died when she was in high school. She has lived with Kae In since and has always desired that which Kae In had. She fell in love with the ideal of Chang Ryul, but then changes her focus to Jeon Jin Ho when her wedding is interrupted by a surprised Kae In. She is vicious in her tactics, making herself more pathetic than victorious. Sang Joon is Jin Ho’s righthand man who gets him in more trouble than anything else. He loves his good friend, but always seems to make trouble – like pretending to be gay when he learns Kae In thinks Jin Ho’s gay and constantly badgering Jin Ho about the Dam project and getting Kae In to divulge the secrets of Sanggojae. Young Sun is Kae In’s other best friend. She and In Hee never really got along, but tried to since Kae In was their mutual friend. When In Hee betrayed Kae In, the gloves came off and Young Sun unleashed her tongue. She and Sang Joon are constantly bickering and having fun and become good friends. When she learns the truth about him being straight, the two conspire to hook up Jin Ho and Kae In. Choi is in charge of the Dam Art Gallery as well as the overseer of the Dam project. He develops an interest in the talented Jin Ho and Kae In. He hires Kae In on to work in the art gallery furnishing a children’s room and roots for Jin Ho’s success in the project. He and Kae In form the “unrequited love” club and try to cheer each other on, not knowing that both of them like the same person. He is initially quiet and reserved but opens up throughout the series with some rather lame jokes. Tae Hoon also works with Sang Joon and Jin Ho. He is very immature and also in love with Hye Mi who just happens to like Jin Ho instead. He is always poking his nose into Jin Ho’s affairs to help the woman he loves. Tae Hoon comes from a wealthy family so it is easy to see why he can be immature and naive at times. Hye Mi was engaged to Jin Ho since she was a little girl and even moved back from America without her parents to be with him. She acts very much like a child and is always constantly trying to find out what he is up to. She opposes Kae In very much and is heartbroken when Jin Ho keeps reiterating that he will never see her as a woman, but Hye Mi refuses to recognize Tae Hoon’s love for her. Jang Mi is Jin Ho’s mother. She at first is supportive of Jin Ho’s and Kae In’s relationship until she finds out that Kae In was once dating Chang Ryul, the son of the man she blames for her husband’s death. Thanks to the help of In Hee’s venom, she begins to believe the worst of Kae In and demands that her son stop seeing her. Chairman Han uses whatever means possible to succeed in business. 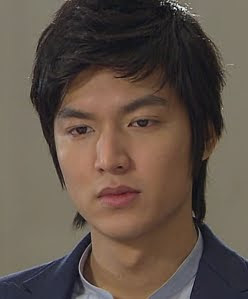 Thus he steals away Jin Ho’s father’s company forever alienating Chang Ryul and Jin Ho. He wants to use Kae In as an insurance policy for the Dam project when he finds out that she is the daughter of Professor Park. He is oily and always out to get all he can and he is not subtle about it at all. His tactics seem to work in the beginning of the series but begin running out of steam towards the end, especially when a more mature Chang Ryul steps up to bat and refuses to be his father’s punching bag anymore. Available to watch streaming online with English subtitles on DramaFever and Hulu.